As time goes on, everyone ages. There are inevitable changes in your body from wear and tear as well as because of lifestyle choices that affect your body as you age. Most people think that getting and feeling old is a normal change experienced with aging. Those, however, who continue to have a positive attitude, take care of their body, and participate in youthful activities will feel younger and even live longer than those who sink deeply into the aging process. Perception is defined as “a way of regarding, understanding, or interpreting something; a mental impression.” Every individual on Earth has their own perception, and often you will find that no two people will perceive the exact same situation in the same way. You may see a traffic jam as an opportunity to reflect and calm your mind, while the guy next to you finds it enraging, and intolerable. You may love to feel rain on your face, while your sister only wants to feel the sun. You may find that a relationships breakup is really an opportunity to learn and grow, while your friend sees it as the end of the world. The examples can go on and on and aging is not different. Some people embrace getting older, and see it as the “golden years” where they can do what they want, and use the wisdom they have gained from a long life as the means to true happiness, while others dread it, fear it and believe that 50 years old means the end of life. The truth of the matter is that you are only as old as you feel because if you believe that all the fun is over, then it will be because your behavior will reflect your attitude. While age isn’t only in the mind, how you feel about the aging process can affect how you look at yourself and how you look to others as the years tick by. So many people perceive older generations as somehow, less than, frail, sickly, demented, unable to enjoy life…these are all perceptions that people have, they are not a general reality. Those who consider their body as a temple and choose to feel young will tend to take better care of their bodies so that they don’t suffer from the wear and tear that aging brings. Feeling young means not letting age stop you from living! Feeling young means not throwing in the towel, but looking forward to all that you can still do, achieve and enjoy as you age. If you can do some of these things, it will be easy to look into the mirror and feel younger and healthier. You see elderly people who continue to play sports and participate in amazing mental challenges even as old as centenarians. These are people who say they have some sort of secret to staying young and feel as young as people decades younger than their chronological age. These people usually have a purpose in life, and to them age is just a number, not how they feel inside or act on the outside. On the other side of the spectrum are people who shuffle around, stand with a stooped posture, have bad teeth and say they are tired much of the time, even in their forties. These people fear old age, and perceive it as a threat, and this manifests itself in various ways, because if you feel that 50 is “old” and you are 50, then you will act old. They tend not to take care of their bodies and allow things poor eating habits and a lack of exercise contribute to this perception leaving them looking and feeling older than their years would indicate. A positive attitude is one thing that people getting older should adopt and maintain throughout their aging years. This means that you are better able to problem solve issues that come up through the years and that you see your doctor for preventative healthcare as early as their teens and twenties. 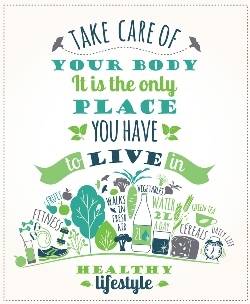 The better you take care of your body when you are younger, the younger you will feel and look, as you get older. Older people who practice tai chi or meditation will feel younger and remain physically younger than those who allow themselves to be stressed out by life’s challenges. These are ancient Asian practices that can improve the state of mind, helping you feel younger and improving things like balance and coordination so you can walk straighter, fall less, and look sturdier over the years. Tai chi and qigong are actual exercise practices that, like yoga, will keep you feeling young and limber. Keeping up with these, healthful activities have been shown to reverse the signs of aging so it is easier to feel young and to live a healthier life. No one can do these things for you so it takes some work, but you will reap the benefits of feeling young and healthy simply by practicing some of these techniques. Keep your mind sharp by doing crossword puzzles, Sudoku, and regular reading practices. You will have learning as a lifelong goal and will feel younger because your memory and cognition are strong and healthy. Reading and challenging your mind will remind you that you are still young and will have a direct impact on how people see you in your older years. People who perceive aging in a positive way, often state that they are the same on the inside in their 50s as they were in their 30s. Just because the calendar has changed doesn’t mean that you have to turn into “someone who is 50” or someone who is 70.” Whatever those two numbers mean.